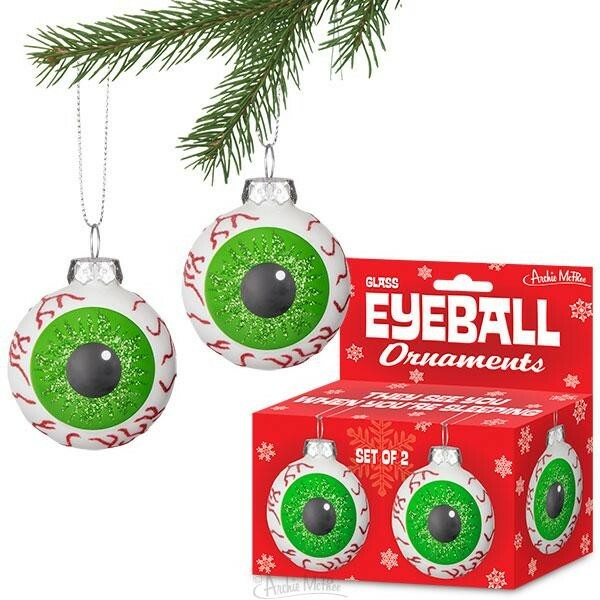 Your guests won’t be able to stop themselves from staring at your Eyeball Ornaments! 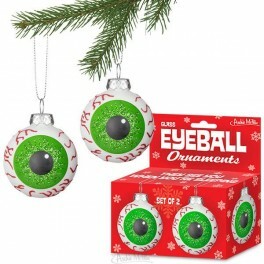 This set of two glass eyeball Christmas ornaments are 2" in diameter. They aren’t just regular year-round eyes, they are shiny with glittery, Christmasy veins and iris in red and green. Perfect for having the tree observe whether children are good or naughty. Includes string for hanging.